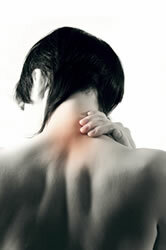 Have you recently been suffering from neck pain in Noblesville, IN? Or have you been dealing with chronic neck pain for several years now? If so, you aren’t alone. Doctors have estimated that roughly 70 percent of all people will complain of neck pain at some point in their lives, and often, that pain is chronic. If you’ve been dealing with this variety of pain, here are three things that could be causing the issue. Spinal Misalignment: There’s little doubt that spinal misalignment is the number one reason behind neck pain, especially when that pain is chronic. When a vertebrae is knocked out of whack, it can exert pressure on spinal nerves, throw off the nervous system as a whole, and lead to a build up of muscle tension and scar tissue. These issues can all be treated by a good chiropractor, both through corrective spinal alignment practices and exercises to attain better posture. Poor Posture: How you carry your body is a factor that could be leading to your neck pain. Making sure you have good posture, with a straight spine and even balance across both sides of your body, can go a long way in helping to eliminate pain. Awkward Sleeping Position: Posture and body position isn’t just important when you are awake and walking around. On the contrary, how you position your body in sleep can also impact your overall spinal health. For instance, while it may be comfortable in the moment, sleeping on your stomach – with your head turned 90 degrees to the right or left – is a big culprit in causing neck pain. These are just a few common causes of neck pain, but if you’ve been suffering through this common condition, then you should consult a chiropractor for help. Dr. Dahlager, a skilled Noblesville chiropractor, who specializes in helping patients with neck pain and would be pleased to assist you today. Call Noblesville Family Chiropractic and schedule an appointment with Dr. Dahlager to free yourself from years of neck pain!